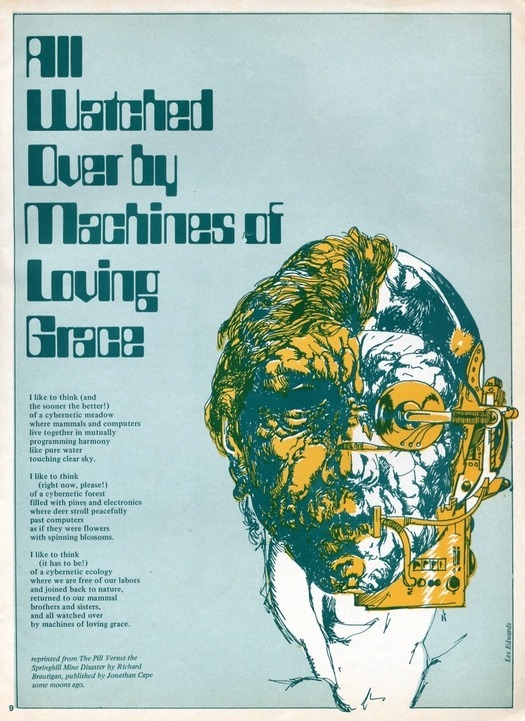 In 1967, the American novelist and poet Richard Brautigan published a poem titled “All Watched Over by Machines of Loving Grace.” This is also the perfectly chosen title of a three-part documentary by Adam Curtis — a true maverick of the airwaves — that started screening this week in the UK. Keenly anticipated, the program has been generating a tremendous buzz. It’s a complex, demanding, uncompromising and visually audacious piece of television. I have watched the first episode twice and will probably watch it again. Will it be shown in the US? I hope so. The entire program is about America. It couldn’t be more relevant. This is the soundbite version of the program’s thesis. The first episode, Love and Power, constructs an intricate, hour-long historical argument that takes in Ayn Rand (seen in a 1959 TV interview — weird and utterly fascinating); members of her circle, including Alan Greenspan, later head of the US Federal Reserve; Rand’s novels The Fountainhead and Atlas Shrugged, by the early 1990s the second most influential book in the US after the Bible; Silicon Valley hotshots who saw themselves as Randian colossi and named their companies and kids after the author; Bill Clinton and Monica Lewinsky; and Robert Rubin, banker, Secretary of the US Treasury, and then a banker again. The cybernetic utopians believed that if you could link people by machines they would create their own kind of order, making government control and regulation unnecessary. When Clinton arrived in office, eager to begin expensive social reforms, as he had promised, Greenspan informed him that the deficit was already too large. He must cut spending and then interest rates would go down and the market would boom. It would be the markets, monitored by international computer networks able to supply instantaneous feedback, that would transform the US, not political intervention. This they certainly did, but Greenspan was worried because productivity hadn’t increased, so where, in that case, was all the money coming from? When he tried to raise the alarm, the political outcry forced him to back down. He concluded — erroneously — that in this “new economy” there must be new forms of productivity that his data somehow didn’t register. A summary of just one sequence in the program comes nowhere near to doing justice to its investigative methods. Curtis moves from slow exposition and observation to passages of deliriously fast cutting. He is a brilliantly subtle editor with an exceptional feeling for music. Over the Greenspan story, he lays “Monkey 23” by The Kills, creating a sensation that everything is running down. “A sense of lethargy and quietness came over the Whitehouse,” Curtis then observes (he always voices his own films). “It was as if the President didn’t have anything to do.” In the next sequence, he uses Leonard Cohen’s “Suzanne” over a slow-motion scene where Lewinsky gazes into Clinton’s unseen face with a look of rapturous longing, during a meeting with him in a crowd (“And you want to travel with her/And you want to travel blind/And you know that she will trust you . . .”). Machines of Loving Grace is not easy viewing in content or form. Some might find Curtis’s melancholy conclusions (so much for Brautigan’s “mutually programming harmony”) too much to take. I prefer to see this in terms of the famous saying attributed to the political thinker Antonio Gramsci. We need to apply “pessimism of the intellect, optimism of the will.” Cultural and political criticism of this kind — incredible to find it survives on TV — attempts to inform, outrage and radicalize the audience because without clear understanding and emotional engagement, there can be no fighting back. 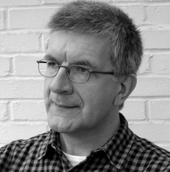 Curtis is a kind of Jan van Toorn of the moving image — Van Toorn often said that the designer, too, should be a reporter — and designers could learn a great deal from studying this masterly documentarist’s techniques of building an integrated argument with image, sound and text. Curtis’s work is harder to see than it should be. Machines of Loving Grace is available on iPlayer, but not outside the UK — there are ways around this. 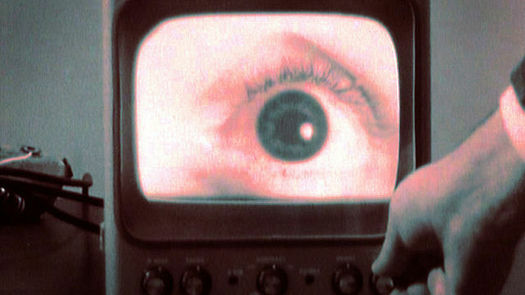 The BBC has yet to release official versions of earlier series such as The Century of the Self (2002), The Power of Nightmares (2004) and The Trap (2007). (It might be an intractable rights problem; all the films use vast amounts of old footage.) Unofficial versions are available from Amazon, but image and sound are said to be poor. In the US, the video magazine Wholphin released The Power of Nightmares with issues 2 to 4 on separate discs. These appear to have been withdrawn, according to the McSweeney’s Store, also for rights reasons. Thankfully, Curtis has made It Felt Like a Kiss available on his blog. This 54-minute film was part of an installation/performance staged with a theater company in Manchester in 2009. It’s an electrifying, often deeply disturbing piece of work that shows Doris Day, Rock Hudson, Saddam Hussein, the CIA, and Enos, the first chimp launched into orbit, in a startling new light. There's a lot of Adam Curtis material available at the Internet Archive (archive.org) if you search for his name in the Moving Images section. I've always thought Adam Curtis was an artist. He shows a view of the world that is so radically different from the one portrayed in newspapers and on television. More than anything, though, I think the greatest gift I've gotten from watching his films is, rather than becoming radicalized, to be more aware of the ambiguity of the world of politics. There are extremes of right and wrong on certain occasions, but for the most part, world events and their consequences are completely out of the control of any one government or leader, and the results are unforeseen and unpredictable. However, as visual communication, it really is stunning. 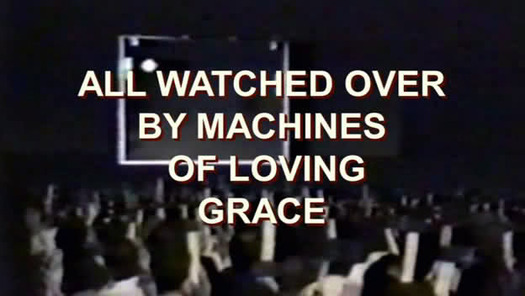 The second episode of All Watched Over by Machines of Loving Grace aired in the UK last night. The Use and Abuse of Vegetational Concepts covered ecology, “steady state” ecosystems, cybernetics, systems theorist Jay Forrester, Richard Brautigan’s poem, Buckminster Fuller, geodesic domes, the collapse of the experimental counterculture communes, and the failure of social media generated revolutions: after the widely expressed desire for freedom and democracy, then what? The issue is always power, who will hold it, and whether we can contest it. Update: The third and final episode, The Monkey in the Machine and the Machine in the Monkey, is now online. Wherever you are, try to see these superb, exhilarating, revelatory documentary essays. Alongside meanings and politics, I thought it was a joy to watch - lovely editing, terrific research, really really intelligent television, for a change. Superb. I'd happily take him up on the glaring flaws in his presentation of what he calls 'radical individualism'. His purposeful muddling---seemingly in an effort at unwarranted ideological and character assasination---of Randian ideology with decidedly collectivist economics (a Fed chairman can never be a proponent of free markets as long as he keeps his organisation's doors open) was disingenuous and stereotypically Beeb-worthy. Indeed I did wonder if it was how he managed to get thie thing aired. A shame, as the film was in other ways astonishing, especially as a piece of editing and in its unapologetic ambition. The other question I'd raise concerns his treatment of computers as if they were one big lump. Are the networks that allow us to spraff about 'design' with people all over the place really the same ones that helped along the subprime housing crisis? Collateralised debt securities were dreamed up by mathematicians, and only facilitated by computers. Is the internet really to blame for the failure of central bank corporatism? Too great a leap, I'd say. Sometimes the BBC really hits the mark; shame the right wing media led by Rupert Murdoch and their sycophantic government are circling overhead. We love Curtis' work and this 3 part series was fascinating; visually stunning and intellectually stimulating in a way that very little television even aspires to be. Linking theoretical perspectives to the very real experiences of the individual excites and engages. Some have criticised Curtis for being a polemicist, which may of course have truth, but presenting information in new and challenging ways is always valid.